Hey all! I'm looking to turn this graphic into a T-Shirt design and would love some critique to make it better! I realize it's not quite pure pixel art due to it's size, but I figured there is still a lot that could probably be improved upon. Here's a quick concept of what it would look like on a shirt. Pixel Art / [CC][WIP][OC] Game Banner. Thoughts? I really like it, but my wife thinks it is too busy. What do you guys think? All feedback would be greatly appreciated, thank you for your time! 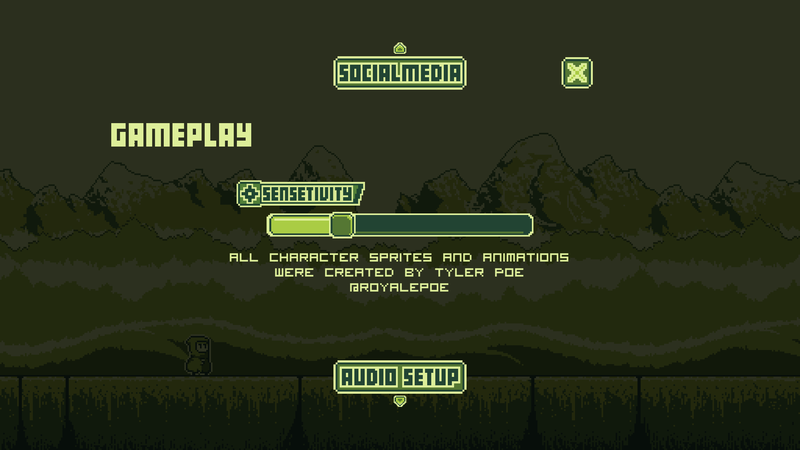 Pixel Art / [CC][WIP][OC] Main menu for mobile game. Devlogs & Projects / Archer Dash, a GameBoy themed infinite runner! 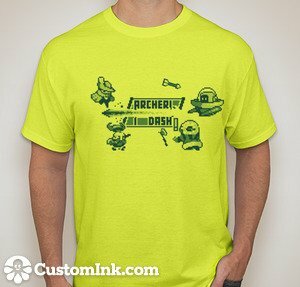 Archer Dash is going to be a infinite running game with a small twist. At certain points in the game you will have to confront a boss, and defeat him! Target platforms are iOS and Android, and I am hoping to launch in roughly 3-4 months! Here are two small previews with more to folow! Started working with an artist (Tyler Poe - AKA RoyalePoe) on character design, and here is what he has put together so far, man this guy has some serious talent. 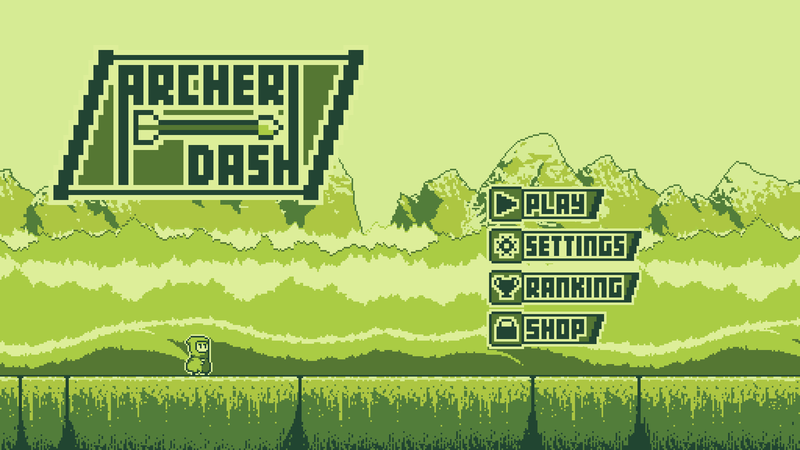 In a pixel art style, with a GameBoy color theme, Archer Dash aims to entertain you and take you back to your childhood. Any and all feedback would be greatly appreciated! This is a joint piece by myself and Royale (http://wayofthepixel.net/index.php?action=profile;u=47680) any thoughts? 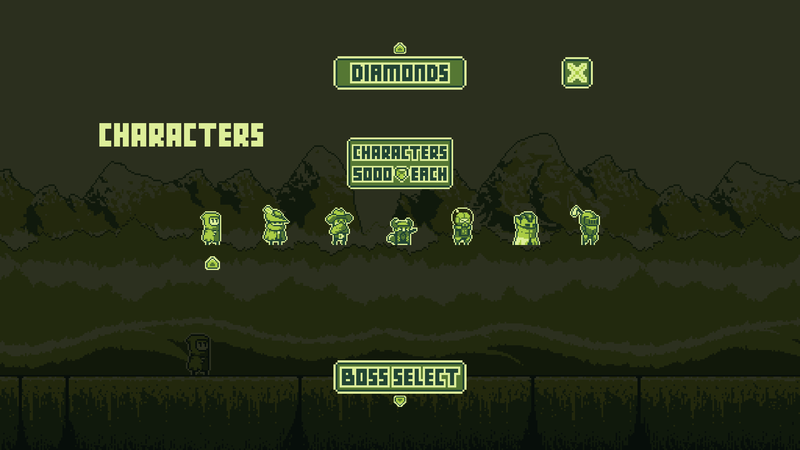 The sprites were designed by Royale, and I animated them with the exception of the fire state, I only did some minor tweaks to that one. Pixel Art / [WIP][C&C] The Last Alchemist Artwork. Decided to make this thread a general C&C for all of the artwork for a game I am working on. We would love to hear your thoughts and opinions! Pixel Art / [C+C] [WIP] Baddie for game critique thread. Thoughts? I am having a terribly hard time grasping the concept of proper AA and dithering. I am very new to pixel art (this is only my second piece) and would love a critique/advice. I am trying to make characters for a video game I am working on, and the artwork is the largest hurdle by far. I am a broke 1 man studio, so I can't afford an artist and am attempting to do it on my own. Let me know what you think of the piece. It's supposed to have an ape-like form. If anyone has advice for the color palette I would love to hear that as well. Pixel Art / [OC][CC][Newbie] Idle animation, somethings just not right, help! I also posted this in the Pixel art section. Added the link because imgur is blowing it up for some reason, making it look all blurry. Inspiration is from Paul Robertsons work, nothing was ripped, but his art-style is along the lines I was shooting for. I'm BRAND NEW to pixel art, this is my first work. Please let me know what you guys think. I believe that it is good, but I watch it and can't help but feel like SOMETHING is missing. Thanks in advance for any advice, tips, or other forms of help!